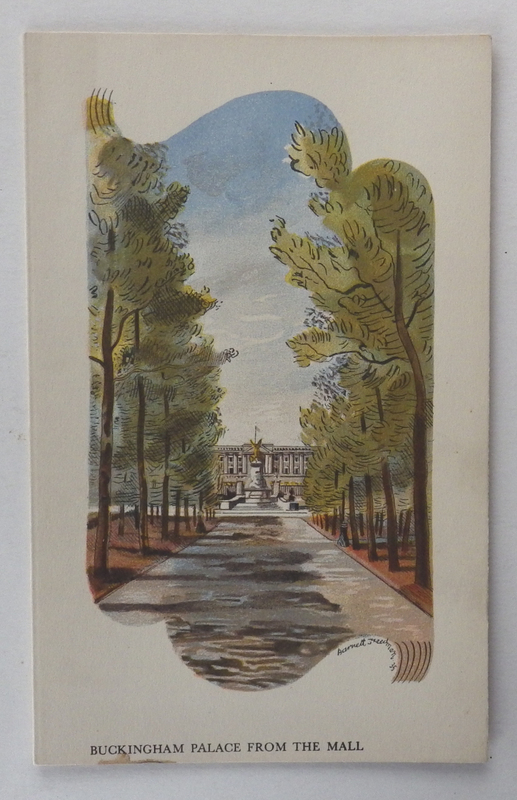 Barnett Freedman: Buckingham Palace Orient Line menu SS Orion 15th December 1935. Colour lithograph. Folded card, 210 x 130mm. Stain on lower edge on all pages. Category: Advertising. Tags: Barnett Freedman menu, Barnett Freedman menu Buckingham Palace.